Sound familiar? Definitely does to me. I used to be one of those people. I had never met anyone with a diagnosed brain tumour, so I always just assumed they were incredibly rare. Until I was diagnosed with one and started to learn more. Every single day, 27 Canadians will be diagnosed with a brain tumour. 27!!!! Each. Day!!!! That is INSANE. And there is currently not enough information out there yet to find a way to stop brain tumours from happening. That is what May is all about. Bringing awareness. 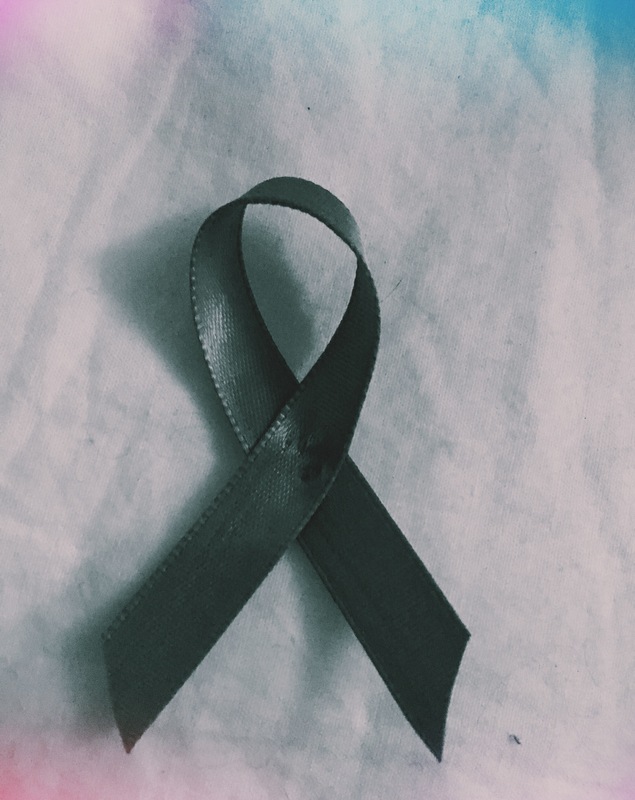 For the month of May, you will see people walking around with a grey ribbon just like the one in my photo above. Grey represents brain tumours. I encourage everyone to ask a brain tumour patient, survivor or friends/family of those with a brain tumour, anything you can. It is so important to understand just how quickly a brain tumour can ruin your life and impact simple, every day tasks. For this month, I will be posting facts about brain tumours and also specifically about what type of brain tumour I had. I am also doing a walk June 3rd in Toronto and am hoping to raise $1,500 for brain tumour research that helps finding ways to beat brain tumours and give proper support to brain tumour patients and their loved ones. You can help us by donating at This page. It shares a bit of my story as well as some facts. Whether it be $5 or $50, anything is beyond appreciated. If you can’t donate, sharing facts is another amazing way to help. This month, let’s get people thinking and talking about brain tumours.